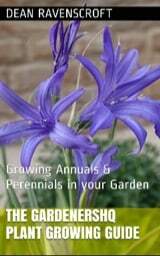 Members of the Hunnemannia plant genus are half hardy annuals or perennials that flower from the summer until early autumn. 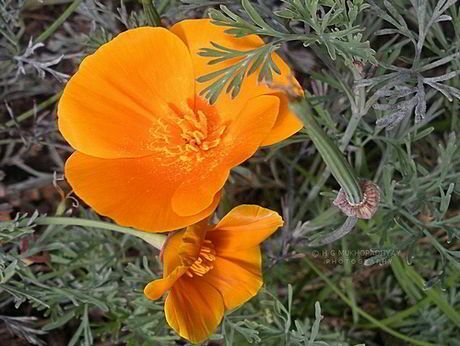 They have fern-like leaves and carry stems that reach up to 60 cm in height and carry poppy like flowers of yellow. Some common names for Hunnemannia are Golden cup and Mexican tulip poppy. Common Names: Tulip poppy, Mexican tulip poppy, Golden Cup. Height: 20 to 24 inches (50 to 60 cm). Northern America: Zones 6 to 10. As a perennial in zones 9 to 10. Flower Details: Yellow, Gold. Poppy/Tulip shape. Solitary. Four petals. Foliage: Greyish-green. Fern-like. Linear lobes. Sow Outside: Cover seed. Late spring or autumn in warm areas. Spacing 10 to 14 inches (25 to 35cm). Sow Inside: Best started outside. If starting indoors use peat pots. Germination time: two to three weeks. Temperature 70°F (21°C). Seven or eight weeks before expected last frost. Transplant outdoors a few weeks after the last frost. Requirements: Full sunlight. Good drainage. Average soils. Drought tolerant. It is probably best to start growing Golden cup and tulip poppies indoors first. Plan to start the process about two months before the last frost of spring. Sow the seeds in peat pots, and lightly cover with topsoil. They should be kept at 21 to 24 degrees Centigrade, and take three to four weeks to germinate. Once ready the young Hunnemannia genus plants should be put out into a sunny part of the garden following the last frost of spring. It is best to space Hunnemannia Plants at about 25 to 30 cm apart. They can grow in most types of soil but is should be slightly alkaline in nature.